A hunk of raw meat found inside a passenger’s luggage set off alarm bells for TSA agents in California last week, leading to an unexpected drug bust. 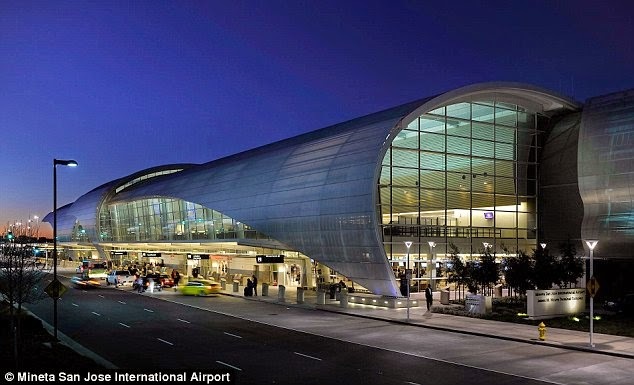 Last Saturday, security agents at San Jose International Airport contacted the local police department about a suspicious package discovered inside a suitcase being checked onto an Alaska Airlines flight. Officers who responded to the scene examined the object, which turned out to be vacuum-sealed raw meat. Inside, police found 3lbs of cocaine divided among three shrink-wrapped bundles. The suspect, identified by CBS San Francisco as 24-year-old Salvador Zamaya, was promptly removed from his flight and taken into custody. Zamaya was traveling from San Jose to Seattle, and the drugs were discovered during a routine luggage inspection. Zamaya has been charged with possession of narcotics with the intent to distribute and drug trafficking. The meat-encased cocaine has been seized as evidence by police. Amazingly, this is not the first - nor the second - time that raw meat has been used to transport drugs. 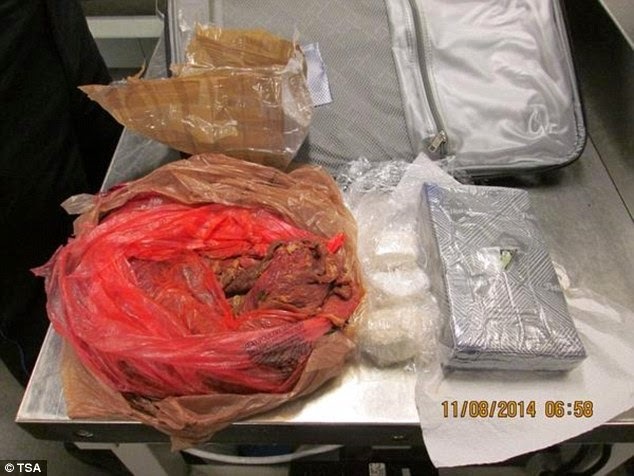 In March, customs agents at JFK International Airport discovered more than 7lbs of cocaine stuffed inside three chunks of frozen goat meat stashed in a suitcase, according to published reports. As recently as last month, security officials at the Kuwaiti International Airport busted a Bangladeshi cleaning company worker with two kilos of marijuana packed inside a container of frozen meat. Drug mules seeking to avoid detection by police and airport security in the US and abroad have been forced to think outside the box, or in this instance, outside the suitcase, to transport their illegal wares in recent years. Inventive traffickers have been using anything, from dolls to canned pineapples to water barrels and printer cartridges, to smuggle narcotics around the world.